and barked and growled whenever someone came to visit. 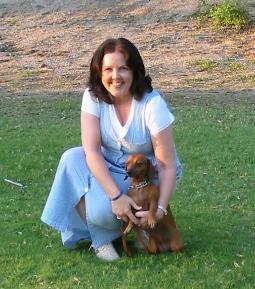 about Dog Training with Brenda and found her website. 45 minute period, Maggie's behavior improved significantly. beyond belief. She takes lots of time with problem areas. Our little Maggie is a happier dog since "Aunt Brenda"